Most online traffic comes from search engines. If someone is in need of something, they'll head to their favorite search engine, say Google, type what they're looking for and then are presented with a list of websites that focus on the terms the searcher entered in. Rarely do searchers visit past the third page of search results and even then, the number of people who move from page q, to page to page 3 drops significantly. Could the seach engines find you anyway without optimizing your site? Absolutely! But without giving the search engines a helping hand by using SEO techniques, you're likely to end up deep within the search engines results pages and will not likely be seen by anyone. 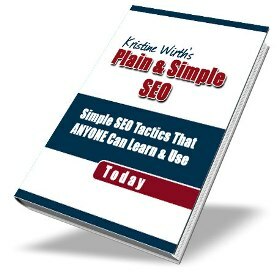 This PDF report will hand you the tools you need to start using basic SEO on your website as soon as today.